Please select a size. 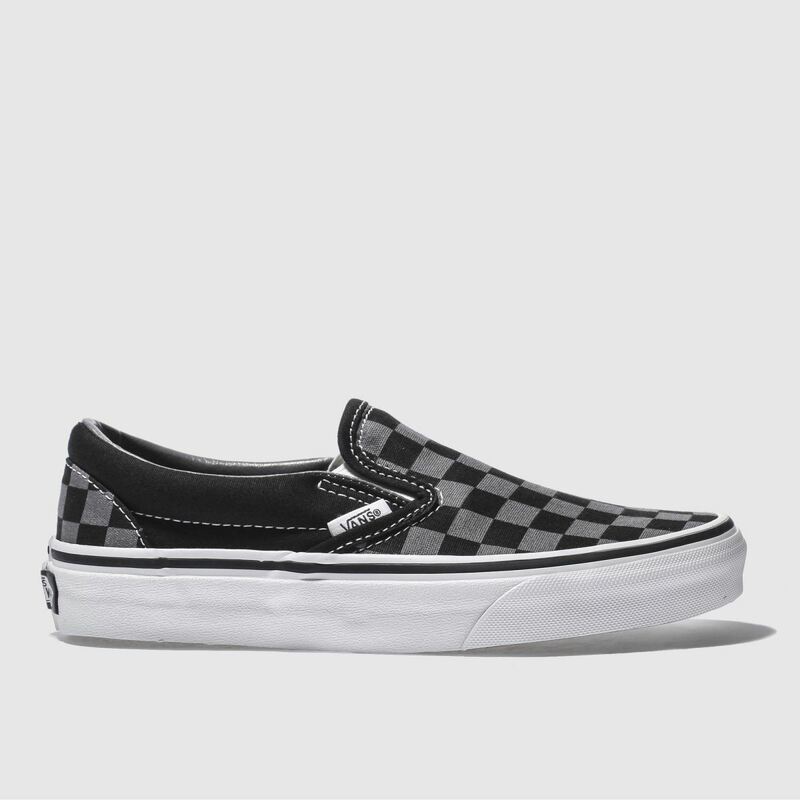 UK 3 - In StockUK 3.5 - Email me when back in stock UK 4 - In StockUK 4.5 - Email me when back in stock UK 5 - In StockUK 5.5 - Email me when back in stock UK 6 - In StockUK 6.5 - In StockUK 7 - In StockUK 7.5 - In StockUK 8 - In Stockview larger sizes Please select a size. 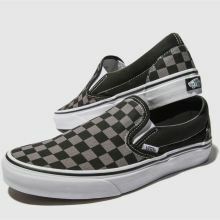 The legendary black and grey canvas slip-on shoe from Vans is a style that has been with us for over 30 years! 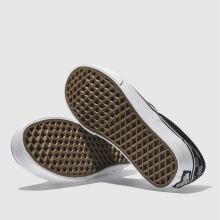 It has a padded collar and insole for added comfort and a vulcanised sole unit with Off The Wall branding on the rear.